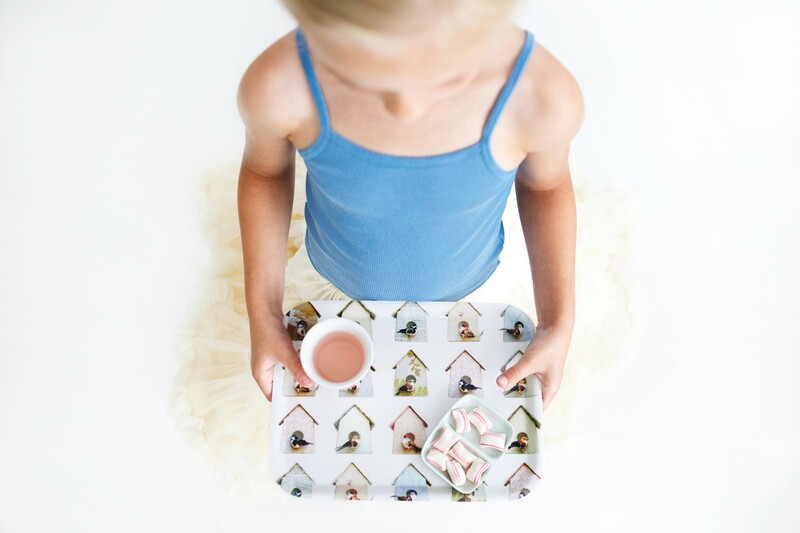 A serving tray filled with fun colorful houses for exotic birds. The designers seem inspired by bird houses. 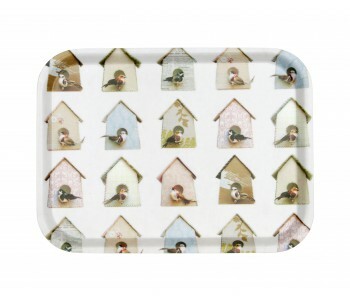 These serving trays are ideal for a cosy cup of coffee or tea, breakfast in bed for 1 person, or a 1 person TV diner. It's even more relaxing that this tray fits in the dishwasher. 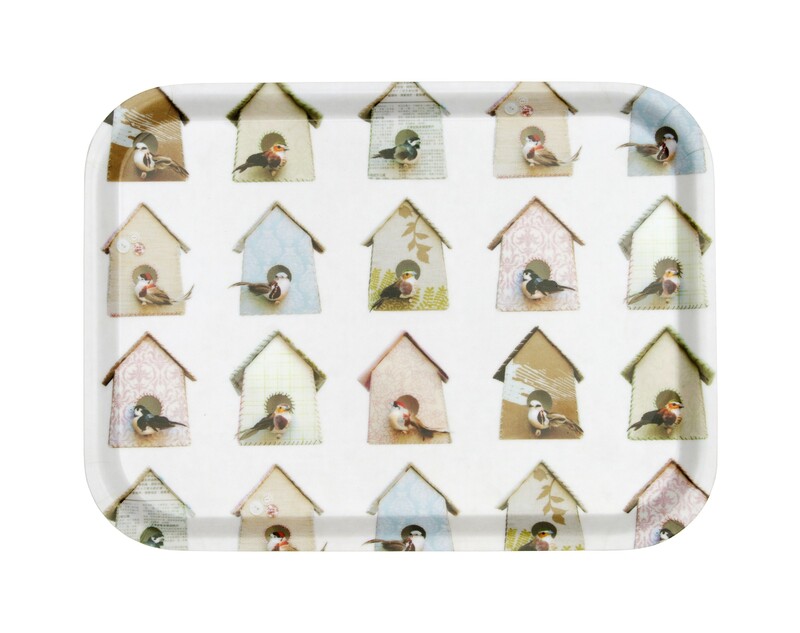 A serving tray with fun and colourful houses for exotic birds. Designers Endry van Zwam, Marieke Dirks, and Natasja van Heesbeen seem to be inspired by a birdhouse. You can serve a cosy cup of coffee or tea with these cute, colourful serving plates. It really looks great in your living room, kitchen, bedroom, as well as in the summer on the patio. 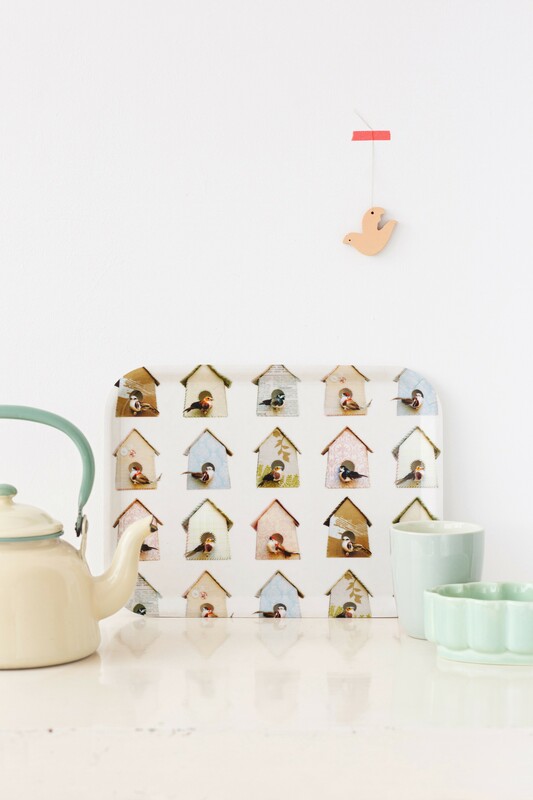 When not in use, this serving tray can be placed in a kitchen as decoration, like a painting on the wall. 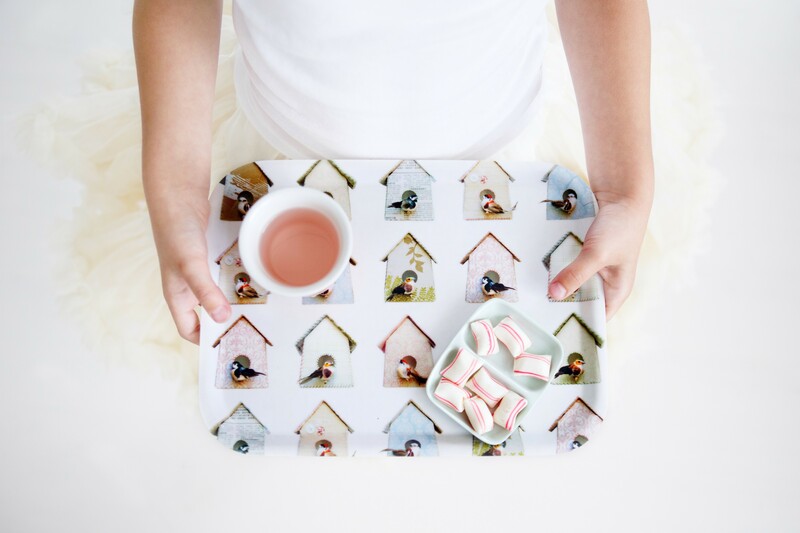 Due to their smaller format, the serving trays are excellent for 2 cups or to serve breakfast in bed, or dinner in front of the TV. The serving trays have a width of 27 cm and a height of 20 cm and are handmade of thin wood plates from the forests of Sweden. The wood is birch and FSC selected. The images are printed on wood and varnished after. And they are dishwasher safe.